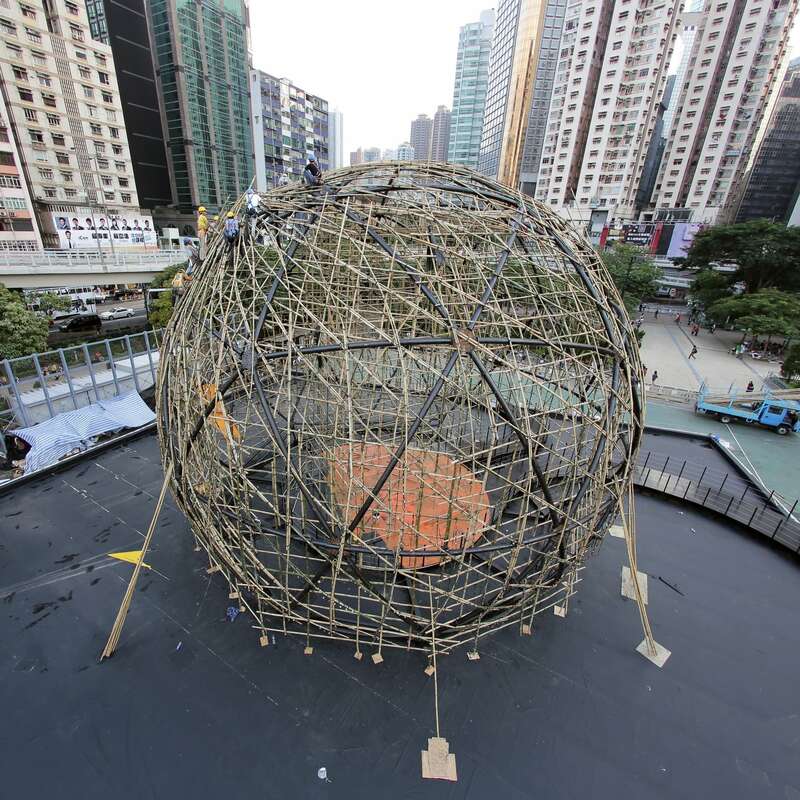 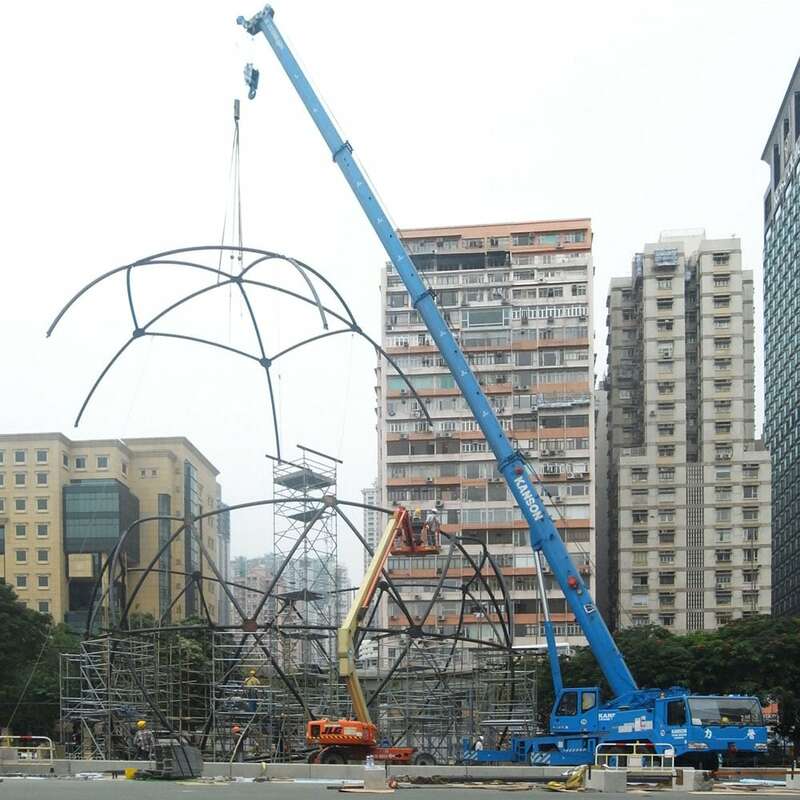 The Golden Moon is a temporary architectural structure that explores how Hong Kong’s unique building traditions and craftsmanship can be combined with contemporary design techniques in the creation of a highly expressive and captivating public event space. 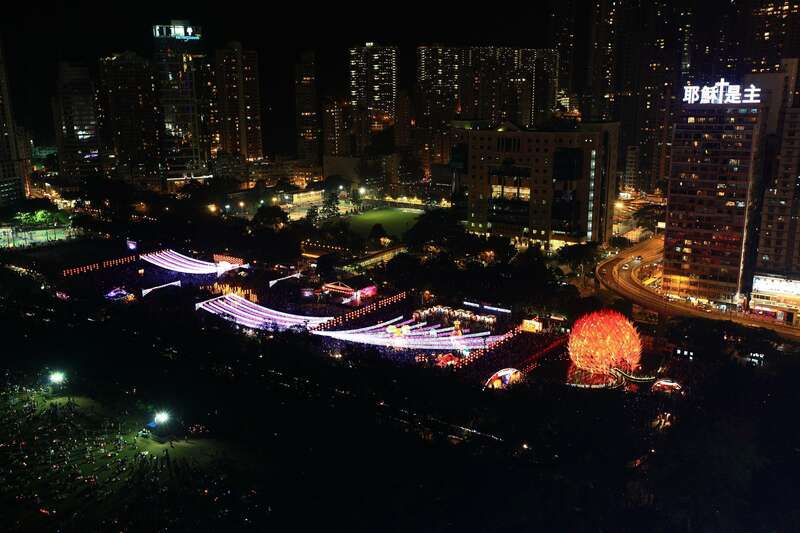 It was built for the 2012 Mid-Autumn Festival Lantern Wonderland and was on display for 6 days in Hong Kong’s Victoria Park. 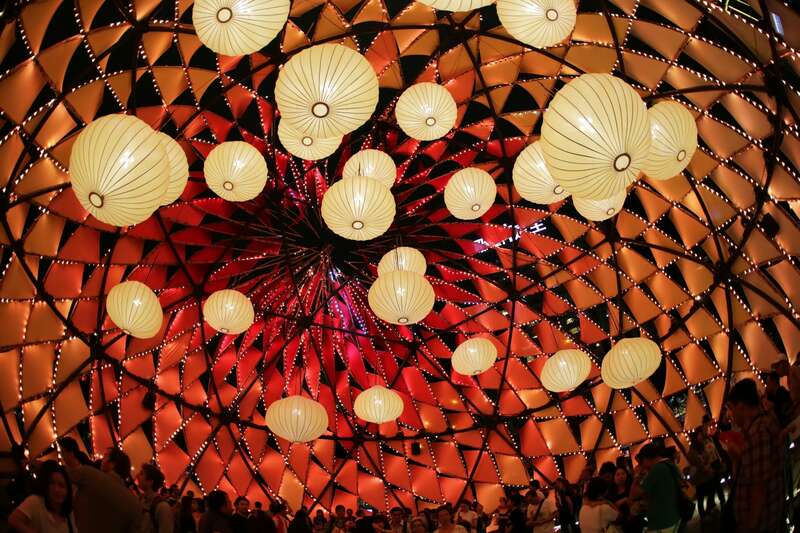 The Golden Moon revisits the concept of a Chinese lantern and makes a direct link to the Mid-Autumn Festival legend of Moon Goddess Chang’e who can only meet her husband Houyi on the night of the Mid-Autumn Festival, when the moon is at its fullest and most beautiful. 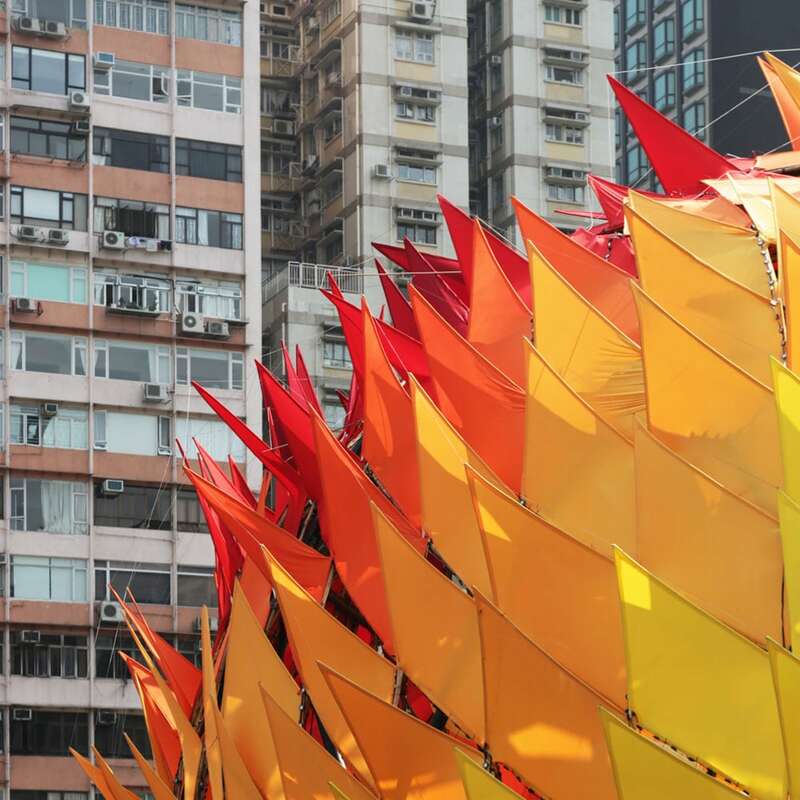 To symbolise the passionate love burning between them, the 6-storey-high, spherical moon lantern is clad with abstracted flames in fiery colours and patterns. 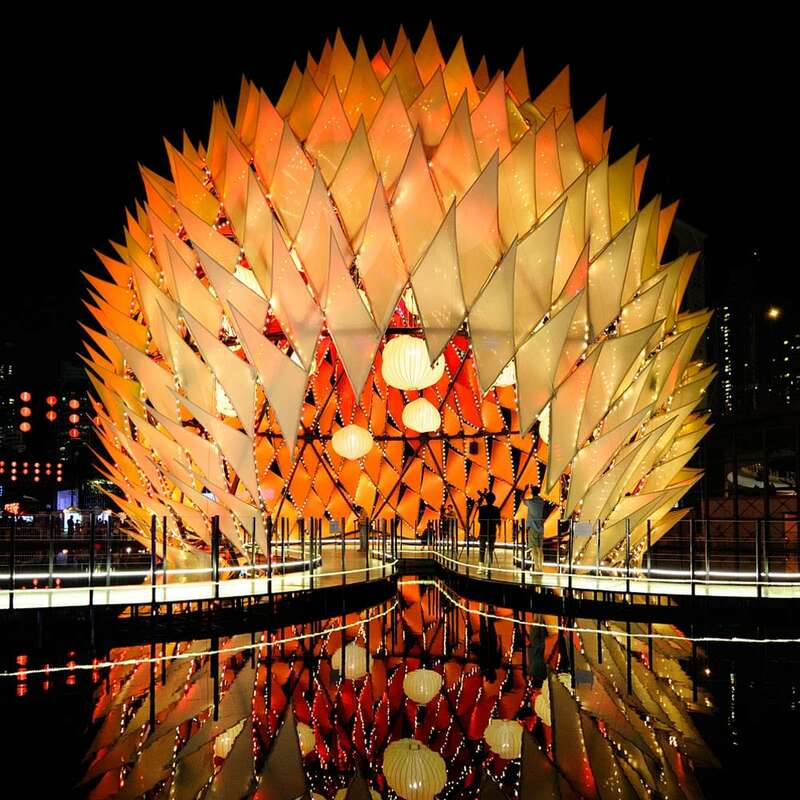 The Golden Moon was built in only 11 days and shows how, through a combination of state-of-the-art digital design technology and traditional hand craftsmanship, complex geometry can be built at high speed and low cost with the simplest of means. 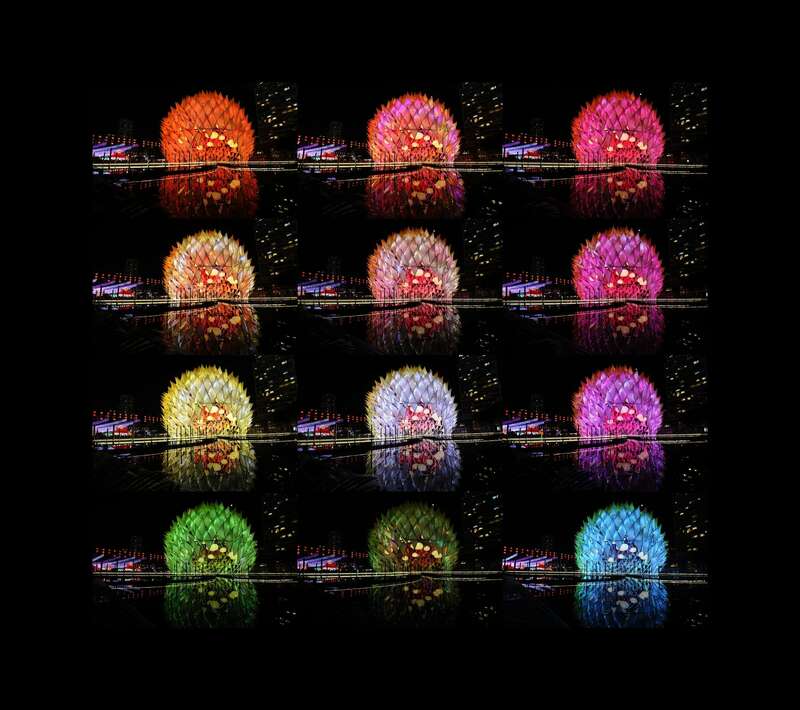 It rethinks the premise of digital design by anchoring the paradigm in a strong materiality. 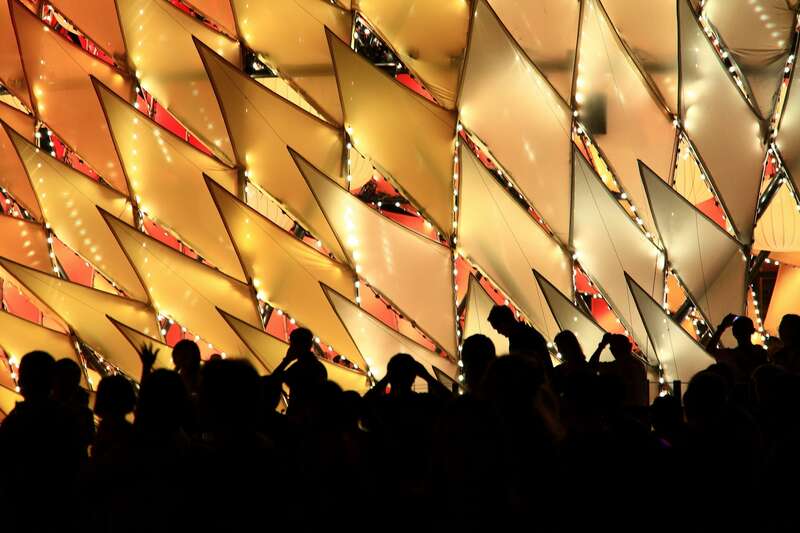 With nearly 500,000 visitors during its 6-day lifespan, the pavilion used its dynamic space, structure, colour, texture and light to trigger a sensuous response from its visitors.